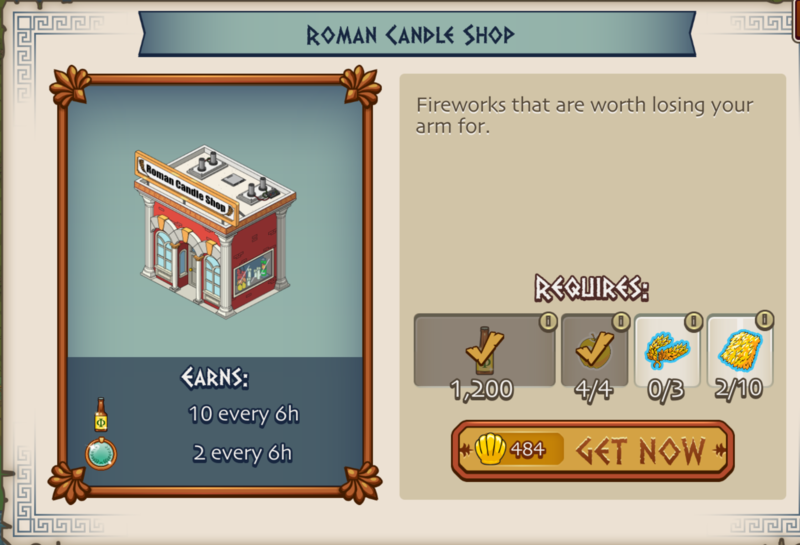 Party Like a God is the main questline for week 3. While there are several side quests that will popup along the way, this is the one questline you must complete in order to move onto week 4 when it hits. So let’s take a look at the quick walkthrough for Party Like a God…. There are a bunch of side quests…but this is the main questline for week 3 that you must complete in order to move onto week 4. Thoughts on week 3? How are you progressing with the characters/skins? Thoughts about Greek Life in general? Sound off below, you know we love hearing from you! 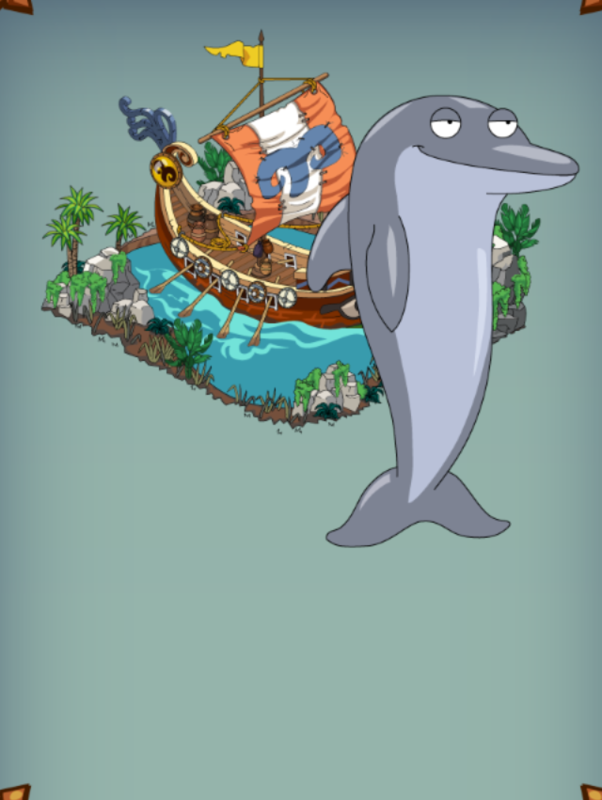 This entry was posted in Buildings, Characters, Decorations, Game Play, Special Event, Tips and Tricks, Updates and tagged Family Guy Game, Family Guy Greek Life, Family Guy The Quest For Stuff, Family Guy Tips and Tricks, Greek Life Event, Greek Life Questline, Greek life week 3, Party like a god questline. Bookmark the permalink. Has anyone figured out why Neptune will not respawn? TinyCo sent many patches. Let me know if they finally went into effect in your game. The weekly challenge send rigged. Neptune won’t respawn. 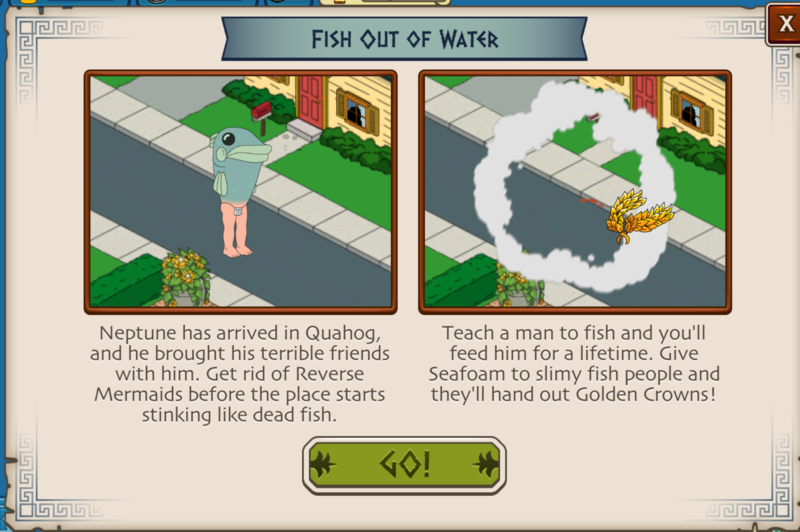 Seems unfair to have to use clams to get him to return. 6offerings is kind of steep when so many other offerings need to be crafted. I’ve had so many problems with the game during this quest and Tiny Co hasn’t answered a single question or complaint. I have been reaching out to them about it. They offered the 24hr extension… but he needs to come back first. I completely get it. Sorry I was not around to communicate with them for Players. People don’t realize just HOW much I do behind scenes to help out in the game…. til I am not around. Lol. I am still pushing them on it to see if anything can be done. I’ll see what I can do beyond the 24hr extension. I and many others truly appreciate all your help and everything you do for our game play and glad to see you are getting better and have made a comeback. I wish tc would listen more to the players and look into identified bugs/problems. I have read numerous complaints about Neptune never re spawning and it appears the complaints fall on deaf ears. If its something that prevents players from advancing through the main quest line it should be priority number 1, but it doesn’t appear to be of concern to tc. It is. It really is. I am going back and forth with them. They pushed several patches. I also let them know about he has to show up first for patch to work. I will update once I hear more. Is TC going to fix the Neptune failure to respawn issue or just ignore it for remainder of event and force users to shell out 40 clams? I have waited 6 days since the only time I fought & defeated Neptune! Messaged TC 4 times in the last week with no response, this is crazy! Are they not able to fix the bug maybe? Maybe you might have more sway with them because at the moment it seems as though they are just ignoring the problem replying with the same generic replies all the time and ignoring what is actually being reported. It seems to me they are waiting for the event to end or for people to actually spend clams and they are not interested in fixing this as it has now been 7 days without him. Not ignoring it. They sent MANY patches. Problem is Neptune won’t trigger in games for it to go into effect. Once he does, it works. Still talking to them about it all. Bunny – they could just agree to refund the clam cost to bring him back couldn’t they? I believe everyone’s clam requirement is different but if we were allowed to bring him back using clams and then message for a refund that seems like the easiest solution. I’ve bought clams for the event but am loath to use some of them to solve their glitch tbh, even if it is only 40 clams. Like you said the 24hr extension was a good thing at the time that has now turned into nothing as that day has now passed and still no sign of neptune, the problem is it doesn’t just affect the weekly task but also the leaderboard, billy finn and the whole event as you can’t get into week 4 without him. Just hope they don’t give us a gift of clams for this mess up, but actually extend the event for once. Still in talks with them about it all. Struggling with the crowns with poor returns from mermaids, but still plodding on. 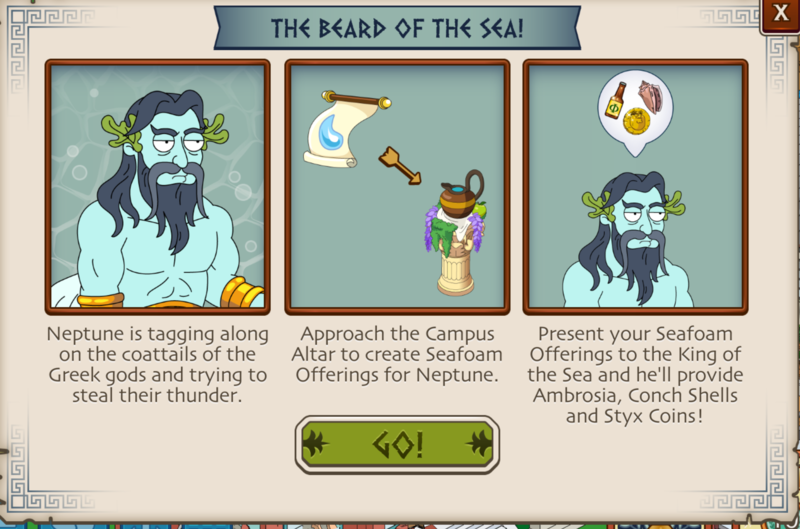 Not progressed phase three yet as trying to get Neptune. Not sure he worth the effort though long term lol. Has anyone else having a problem with Neptune returning to battle? I defeated him Saturday. It’s now Tuesday and he still has not returned to battle. I didn’t defeat him, 1 offering, but yes he only appeared once so far, need shells now so he better spawn in the morning or I have to send another angry message to tiny co! Same. 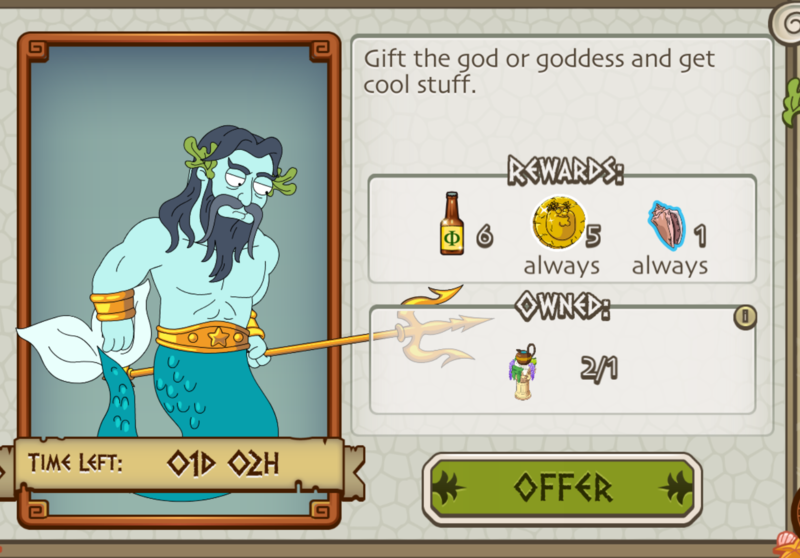 I have a full stock (8) of offerings but still no Neptune. Time is ticking by and I have a lot of Minotaurs still to get. I really want to complete the weekly challenges, please help us get answers and/or help! Yes and it is extremely frustrating. I defeated Neptune Sunday and still no return, yet I’ve had Zeus & Hades return from battle 2-3 times each! I would clam up for the conch shells but they want 50 a pop! 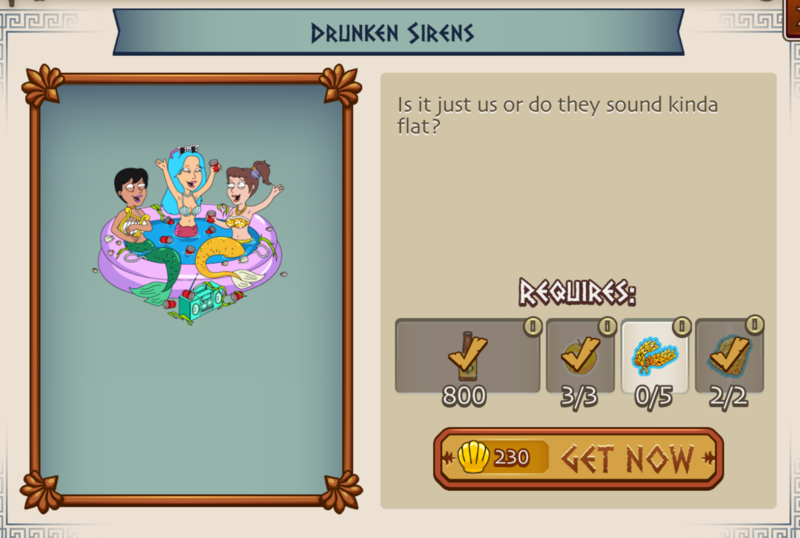 On another note, why does one crown cost 32 clams on drunken sirens but 2 crowns cost 30 on King Midas cash 4 gold?! I would pay 15 just so I could progress through the main quest line but 32 for one measly crown seems excessive. On top of that the last 30 mermaids I’ve cleared returned zero crowns, no exaggeration & no joke! That screams epic return not rare. This game is getting increasingly frustrating and I may walk away from FGQFS after this event, not worth the frustration! My fountain is 11 now but not completed bring yet. Is this why I can’t get neptune to appear yet? Because I blew off Hades, even though I had the majority of materials for him, I was a good portion of the way to get Neptune when the week started. I am almost done collecting the necessary buildings so I can complete the questline. I always wait until I have the characters before doing the questline, unless you need to reach a certain level to complete the characters. Has the third challenge hit yet?